SM Supermalls made history this weekend when Pokemon Go fans and trainers gathered on Friday, August 12 for a Nationwide Pokémon Go Lure Party. 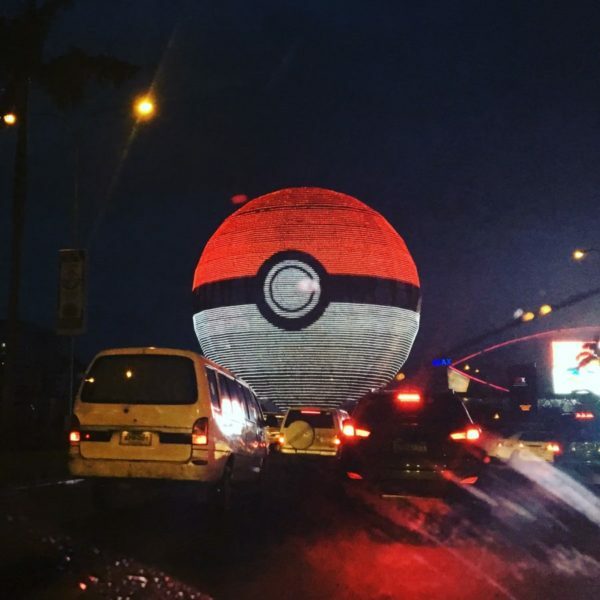 SM’s Pokemon Lure party is the biggest Pokemon Lure Party worldwide to date as more than 150 Pokestops were lured simultaneously from 5pm to 9pm in 50 SM Malls (including SM Jazz Mall, SM Light Mall and SMDC Green Residences) all over Metro Manila, Luzon, Visayas and Mindanao. During the four-hour lure party, SM Shoppers nationwide were treated to an array of exciting attractions and fun-filled activities perfect for families and groups of friends. Pokemon characters and cosplayers were spotted strolling around the malls while select SM branches featured different adorable Pokemon collectibles and Pokemon Go essentials perfect for every trainer’s daily adventure. Together with Jen and her son Jed, I braved the wet weather just to check out SM City Masinag’s Pokemon Go Lure Party. Lots of surprises happened such as Balloon drop and Pokemon coloring for kids to enjoy the event. The historical Lure Party was also joined by several mall establishments all set to launch their respective special Pokemon promos. To make it even more memorable SM shoppers were encouraged to record their lure party experience and post on Twitter and Instagram with the hashtag #GottaCatchEmAllAtSM, tagging @smsupermalls. Three (3) winners will be chosen via e-raffle and will win an SM Shopping Spree worth P10,000 each. Also, due to the overwhelming request from shoppers across the country, SM has announced its extension of the lure party in select SM malls on Saturday and Sunday (August 13 and 14). The Party continues this weekend at @SMCityMasinag #GottaCatchEmAllAtSM #PokemonGoAtSMMAsinag You can still catch Pokémon and win Php 10,000 worth of shopping spree at @smsupermalls!